Media Vision-developed RPG comes to PS4. 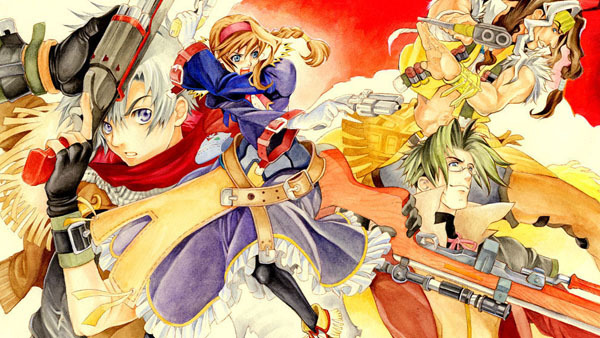 Wild Arms 3 will launch for PlayStation 4 via PS2 emulation in North America on May 17, the latest PlayStation Blogcast reveals. Wild Arms 3 delivers everything RPG gamers expect: an in-depth storyline, puzzling dungeons & a unique battling system. Journey along with Virginia, Jet, Clive and Gallows and discover the mystery behind the Prophets to revive the memories of Filgaia. Explore dungeons to unlock secret pathways and find mythical treasures. Gun Blazing shoot-outs deliver intense cinematic battles. Wild Arms 3 embodies tried-and-true elements of a role-playing classic. View the game’s list of 28 trophies, including a Platinum, at Exophase.